The article you will be reading today is about one of the best online marketplaces when it comes to the Wordpress industry. Whether you need templates or themes, Mojo Themes is the only market you will ever need to visit. So let us begin with our Mojo Themes review. Mojo means a magic charm and that is what the team behind this development is doing all over the internet. Mojo Themes was founded in 2009 by two great entrepreneurs JR Farr and Brady Nord. Since then they run this incredible marketplace with their helpful team of developers, designers, and other staff. The team is not large enough to get unmanageable and is young, and passionate about the tasks they perform which proofs why Mojo Themes is higher in rank than most competitors. You can easily visit the forum page when you visit the website and if you are looking to contact the team or are looking to become the part of Mojo you can just visit their ‘About Mojo’ section and contact the team. Let us move on to what Mojo Themes is and the services it provides. Mojo Themes is a well designed website that provides a large collection of themes and templates for your WordPress websites that you can easily purchase and just put to use in no time. 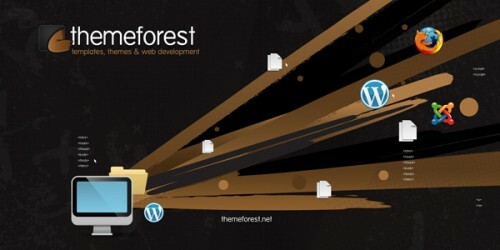 The interface of the site is user friendly and spacious so that you don’t get confused when you visit. On a weekly basis you can view the listed themes that have been selected as the most popular. Furthermore the themes are arranged according to different categories namely eCommerce, blog, business and more. Next is the site templates that are available in a vast number so that you can view for any purpose be it real estate, adventure or anything else. Another major division is the Joomla section, Tumblr themes and eCommerce category which show the themes that are specific to the theme class these categories contain. 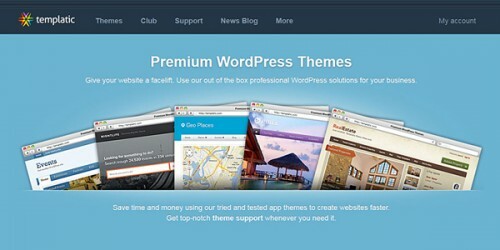 Moreover you will also find the new themes and templates are recently added to the marketplace. The top quality themes that you view can be purchased by PayPal which is another facility many would find immensely helpful. Once in a while Mojo Themes may introduce some packages for different themes and templates so you can benefit by their services in a more economical way. And these packages may vary for different customer types like business personals and the ordinary home based blogger. Each one can select the packages that best suit their pocket. 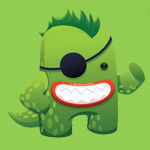 Next feature in discussion about Mojo Themes is their ever friendly affiliate program. Yes! 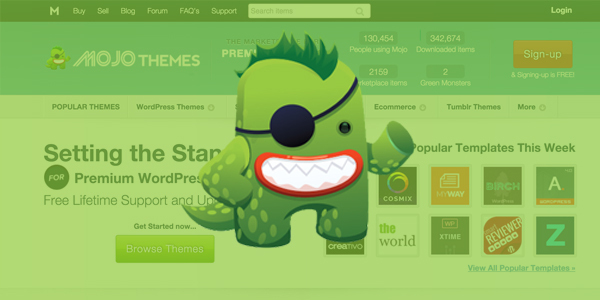 Mojo Themes unlike many of the competitors do support affiliate program and in fact they promote and encourage this concept. The affiliate program offered is of two types namely Pro Affiliate Theme program and Pro Photo Theme program. The first one is a general program where you can promote the products and Mojo Themes is the manager. The second category however is for professional photographers and image fanatic type bloggers. Both the programs are top quality and provide best professional benefits. You can visit their page for further details about the affiliate program where you can view the requirements for the affiliates about their participation and payouts that are carried out. And about the customer support offered many say that it is the best you would come across in the internet world. So that was our review about Mojo Themes market place for WordPress, hope you like it and please share so others may also get to know this amazing source.